Role and relationship between leadership and sustainable development to release social, human, and cultural dimension is based on interactive and mutual influence and human resources to achieve human and material goals. 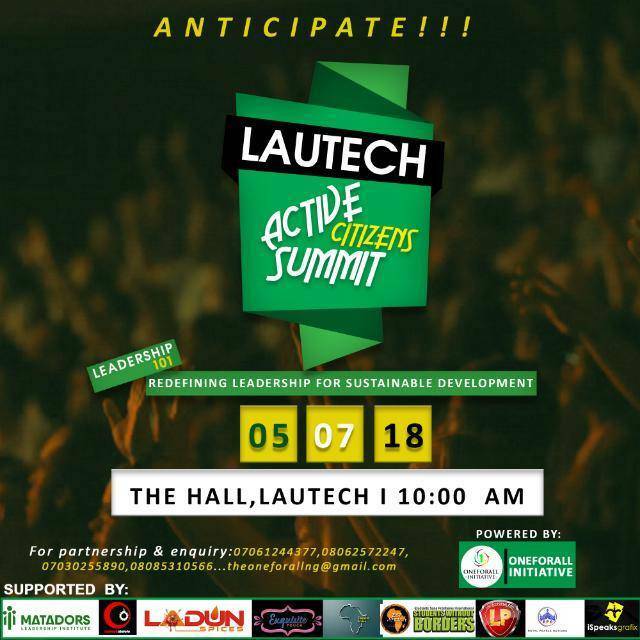 Join me at the Lautech Active Citizens Summit tagged: LEADERSHIP 101. Theme : Redefining Leadership For Sustainable Development. Featuring: Leadership Training, Panel Session, Spoken Words, Comedy and lots more.